a 1930-1939 Cadillac 2 or 4 door Convertible — any color. Please contact me if you wish to sell your car. no rust anywhere, mint condition, 45,054 original miles. 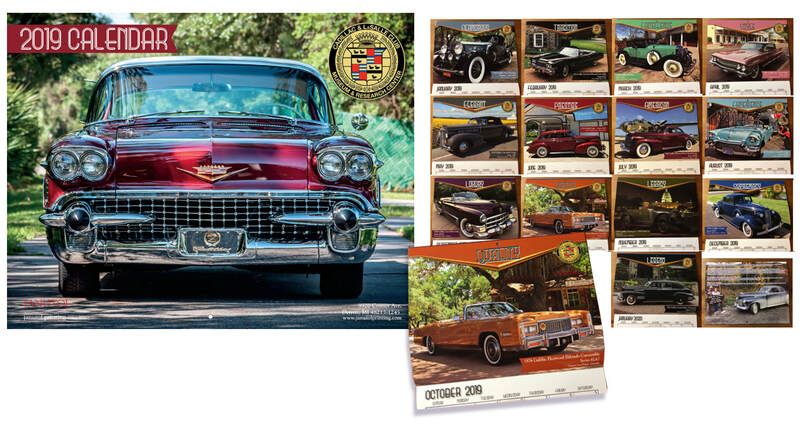 Bob Williams 864-246-0318 Greenville, S.C.
Haven't ordered your 2019 Cadillac & LaSalle Club Calendar yet? It’s Mary Jean and Lee Dunn’s “Goldilocks” — the 1976 Eldorado award-winner! Doug recommends the books, below: "I own this book set and it’s well worth the purchase price." The 1984 Cadillac Seville, a.k.a. “Casper”, has been in our family since 1998 and has given us much fun and pleasure. However, it is time for us to part ways with it. and 18" Deep (at Base). Clock Face on Both Sides of Pump. Ad glass on all 4 sides of pump. Globe, Computer Face and Ad Glass all light up. On/Off switch mounted on side of pump. Low mileage (103k) on a Northstar engine. Newly rebuilt transmission. Mint leather inside, new tires, chrome wheels. Terrific road car, has recently made several trips from Metro ATL to the new home in FL. This car belongs to Peach State CLC members Mike and Dianne Dougherty, who recently retired to FL and bought a new Cadillac. This beautiful Sedan DeVille is in Chattanooga, waiting for someone to pick it up and drive it home. SEE PHOTOS! This car is perfect for those of you who are always saying I need a great old Cadillac for touring! Contact Dianne at ddough10@gmail.com. (352) 661-3809. Tell her Doug sent you! FOR SALE! 1967-68 Cadillac bumpers: $300. Front bumper includes brackets and grill insert. Rear bumper includes brackets and complete tail light assemblies and Fleetwood insert panel. Very good condition. Located in Decatur. Call Roddy Pearce at (404) 371-1999. Between 6am and 10pm please. • Runs and drives great! This car is located in Blue Ridge, GA. Please see photos below. 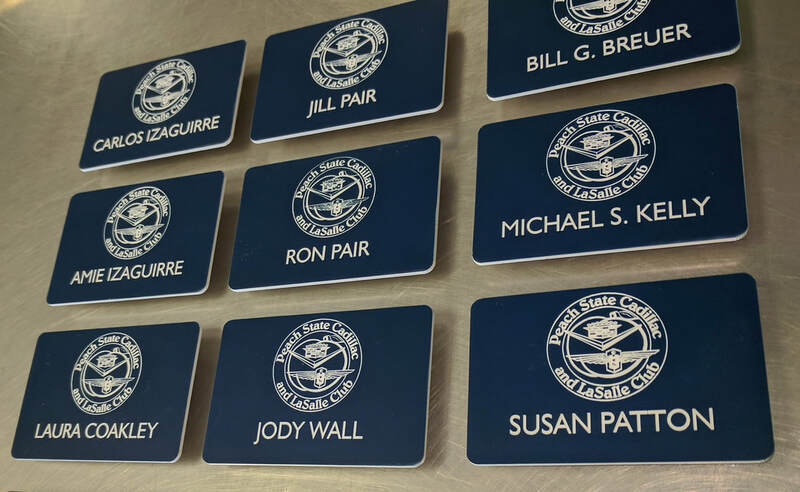 Get your official name badges here! Send Michelle a check for $11.00 apiece to cover the badge and shipping*. Please send Doug your order, specifying the spelling you want used for your name. These popular items are going fast! Mail your check to: Michelle Anderson, PO Box 6301, Dalton GA 30722. Gorgeous color. Big 429, and maintained by PSCLC member, Phil Beaudette. This car is in terrific condition! Own a classic for only $26,000! 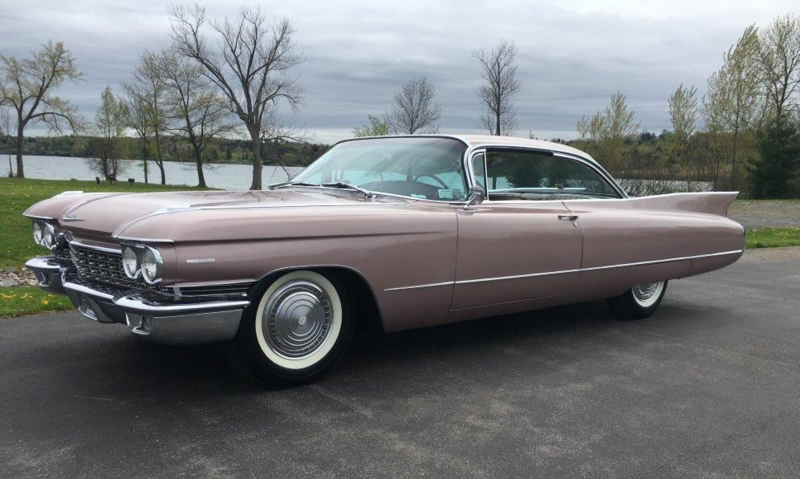 Looking for an original, low mile Cadillac Cream Puff? This unique CADILLAC 1976 Eldorado is a Bi-Centennial Convertible. Cotillion White, 50-50 soft white leather with red piping 6-way electric seats, white top. Fully powered with a host of standard equipment and is original not a restoration. The Bi-Centennials were the last 200 of 14,000 1976 Eldorado convertibles that were produced. The last body number 14,000 is at the G.M. Heritage Center in Michigan. Have all of the original documents including the window sticker. Flawless condition. No snow, smoke, rain with only 24,000 original documented miles. This is a rare Bi-Centennial offered for sale and will only appreciate in value, truly a fine investment automobile. $50,000, financing and leasing available. Contact Bob Williams at 864-246-0318 in Greenville, S.C.
CLC MUSEUM & RESEARCH CENTER CHALLENGE COINS - NEW! Peach State CLC is offering the latest in CLC and CLC Museum memorabilia. 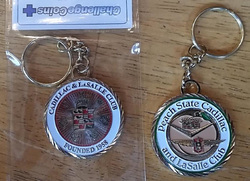 This is a high quality collectible, a coin struck uniquely for us by a world renowned mint, constructed especially to serve as your favorite key chain for your Cadillacs and LaSalles. CLICK HERE TO ORDER. INTRODUCING the brand NEW Peach State CLC Challenge Coin/key ring! Make sure you order one now before our stock runs out. YET another member advantage! buy / sell your Cadillac to a fan base of afficianados!